Written by Jin Won Choi on Sept. 3, 2018 in Real Estate. At the beginning of every month, I brief members on how MoneyGeek's Regular portfolios have performed and comment on the state of the financial markets. In this update, I’ll also discuss the Vancouver housing market. I've chosen to list below the performance of some of our competitors. For the sake of brevity, I've decided to show only those portfolios that have a similar risk profile to MoneyGeek's Regular Aggressive portfolio. In contrast with our competitors, MoneyGeek’s Regular portfolios employ stocks/ETFs that follow the value investing strategy (QVAL, IVAL and BRK-B), and also allocate a larger percentage of the portfolios toward Canadian oil and gas stocks (XEG.TO) and gold (CGL-C.TO). If you would like to take a look at our portfolios, I invite you to sign up for our free membership. In August, Regular portfolios underperformed their competitors. Though BRK-B continued its recent climb due to its share repurchases, jumping 5.7% in August, IVAL, XEG.TO and CGL-C.TO all performed poorly for different reasons. IVAL (international value stocks ETF) went down because investors have become less optimistic about global economic growth outside of the US. XEG.TO (Canadian oil companies ETF) got hit by the trans mountain pipeline decision. Finally, CGL-C.TO went down because still very few investors are worried about an imminent economic crisis. The Canadian economy continues to post solid gains despite worsening trade relations with the US. I believe the strong economy has helped support the Canadian stock market despite the real possibility of NAFTA being cancelled. But there are factors aside from trade that could affect the Canadian economy negatively. I spent the majority of August in BC, enjoying some much needed time off. While I was visiting, I indulged in some real estate gossip and I was surprised to hear some of the anecdotes. In one case, I heard that a house that was originally listed for $3 million in Point Grey (a very desirable neighbourhood in Vancouver) eventually sold for around $2 million. In another case, a person I know had listed her home for around $2 million, but only got one offer for half that amount. You can find similar anecdotes in the public domain. Statistical agencies are beginning to publish data that corroborate these anecdotes. For example, the SnapStats Publishing Company’s numbers reportedly show a price drop of 26% for detached houses in Vancouver’s west side. The MLS Home Price Index shows a gentler drop of 8% for detached houses in the same area, but the index generally lags due to its partial reliance on the repeat-sales approach to collect data. The Vancouver housing slump has so far affected only the highest end of the market, namely the detached housing market in the most desirable neighbourhoods. The greater Vancouver area as a whole is still seeing housing prices rise, as evidenced by the strong increase in the Teranet house price index year over year. But I wonder if the high end market slump will eventually take the rest of the market with it (though the opposite could also happen, and the lower end market could prevent the high end market from crashing). I was curious as to why Vancouver’s high end market has started to slump now. After all, those prices have been unreasonably high for a very long time. When I asked my former hedge fund colleague about his thoughts, he made some good points that made me think. It seems that there are three major factors affecting the market. First, the newly introduced real estate taxes are having an impact. In addition to increasing the foreign buyers tax from 15% to 20%, Vancouver also introduced a hefty tax that applies to empty homes. 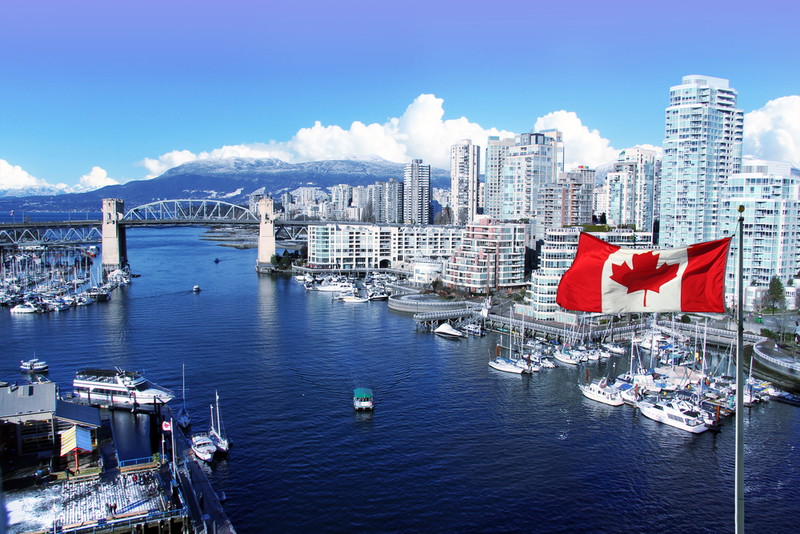 It is said that many foreign buyers leave their speculative properties vacant, so this new tax seems to have made Vancouver properties less appealing to those buyers. Second, China appears to be very serious about stopping the flow of foreign currency out of the country. To prevent its currency from weakening, China had made several attempts in the past to prevent its wealthy citizens from sending their money out of the country via real estate purchases. But those efforts largely failed each time as the citizens always found ways around the new rules. However, the newest set of rules appears to be having more of an impact, perhaps because the Chinese government feels it’s more necessary in this current economic environment. Third, higher interest rates are discouraging speculators. Some investors had bought Vancouver properties with the plan to sell those properties at higher prices to foreign buyers. With higher interest rates, the cost of temporarily holding properties has risen. Unless one or more of the above conditions change, I don’t see how high end Vancouver prices can stop falling, since prices are still too high for local Vancouverites. If prices fall hard enough, they could affect the Canadian stock market by incurring heavy losses for the banks. It’s much too soon to tell whether prices would actually fall that far. But if the US experience in 2008 is any guide, a heavy crash could have a significant impact on our economy.